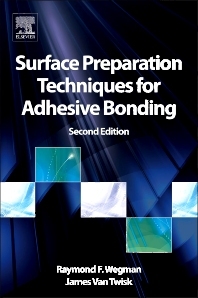 Surface Preparation Techniques for Adhesive Bonding is an essential guide for materials scientists, mechanical engineers, plastics engineers, scientists and researchers in manufacturing environments making use of adhesives technology. Wegman and van Twisk provide practical coverage of a topic that receives only cursory treatment in more general books on adhesives, making this book essential reading for adhesion specialists, plastics engineers, and a wide range of engineers and scientists working in sectors where adhesion is an important technology, e.g. automotive / aerospace, medical devices, electronics. Wegman and van Twisk provide a wealth of practical information on the processing of substrate surfaces prior to adhesive bonding. The processing of aluminum and its alloys, titanium and its alloys, steels, copper and its alloys, and magnesium are treated in the form of detailed specifications with comparative data. Other metals not requiring extensive treatment are also covered in detail, as are metal matrix and organic matrix composites, thermosets and thermoplastics. This new edition has been updated with coverage of the latest developments in the field including the sol-gel process for aluminum, titanium, and stainless steel, atmospheric plasma treatment for metals, plastics and rubbers and treatments for bronze and nickel alloys.